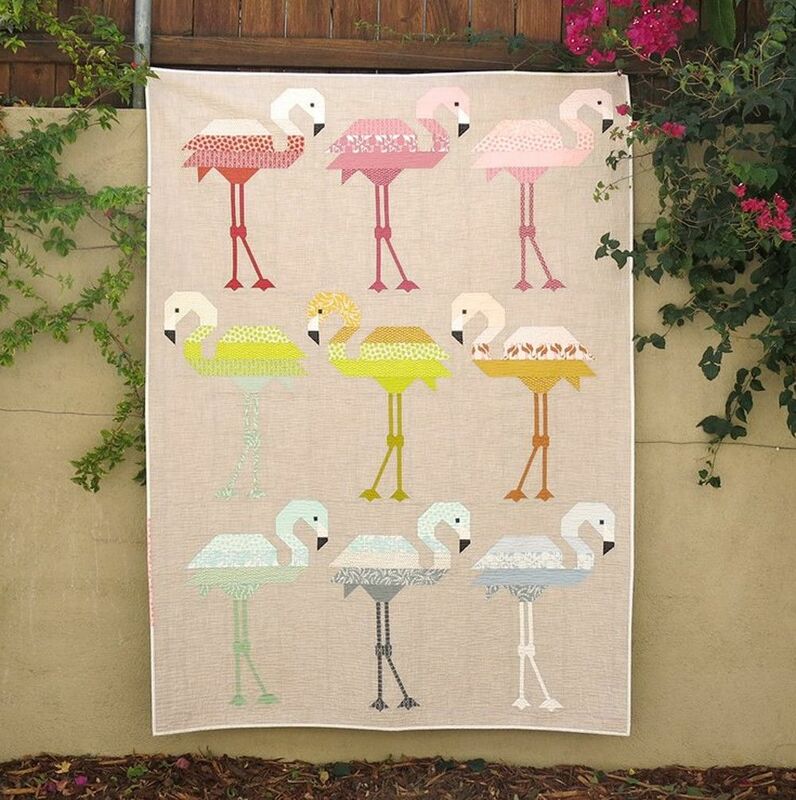 Flamingo blocks are made using conventional patchwork techniques. 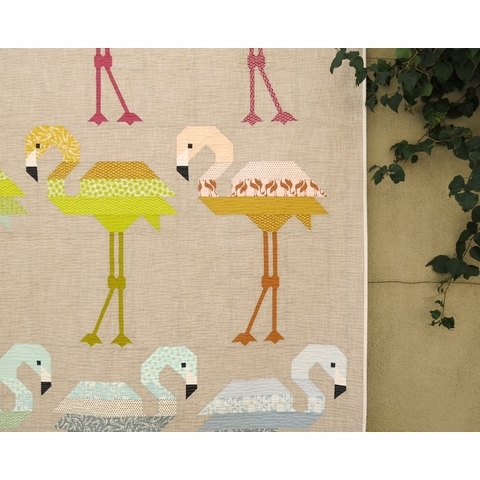 No paper piecing! 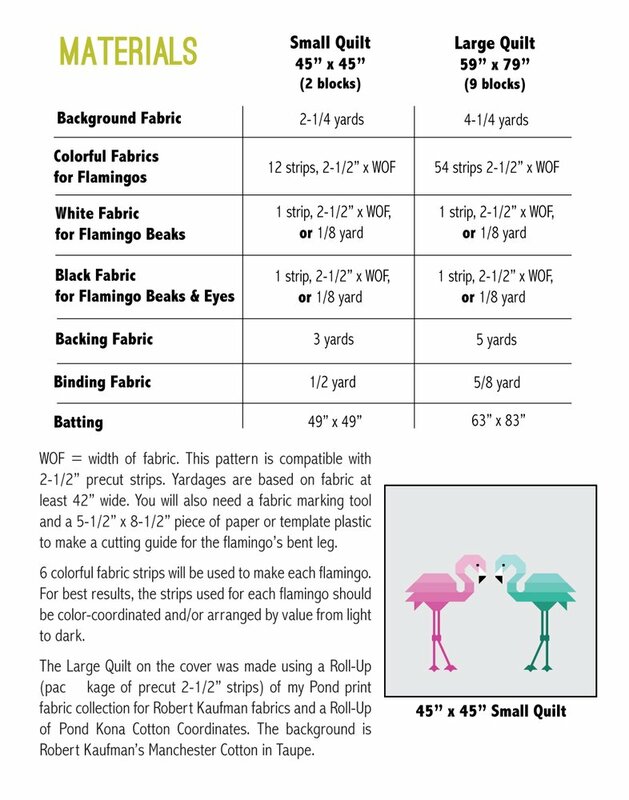 The flamingo's bent leg is made using a cutting guide that is included in the pattern. Use 2-1/2” fabric strips to make these colorful flamingos. 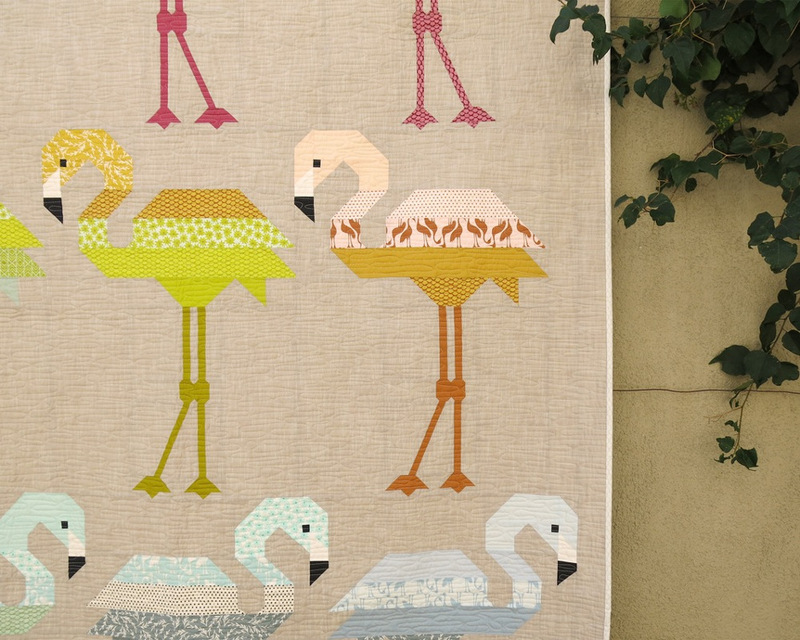 Just a few of these large-scale blocks will make a bold and graphic impact on your next quilt! 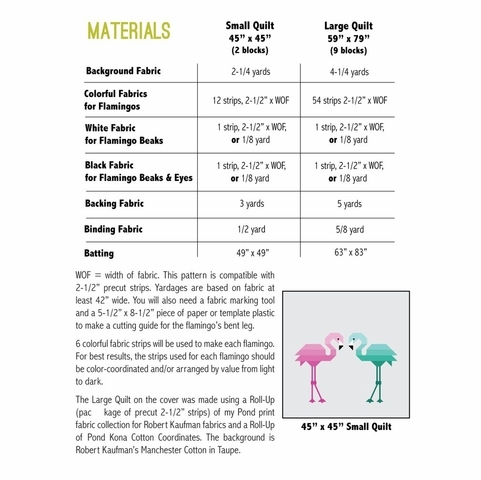 The pattern includes instructions for making quilts measuring 45" x 45" or 59" x 79".